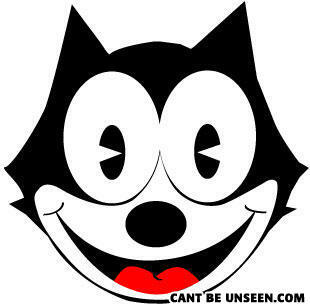 FELIX THE CAT GOT PAC MANS RUNNING OUT OF HIS MIND! Man: (Ugh worst food ever). Man: I love it girl! Girl: Aww, I am gonna make this every day ever!